The Chamber of Southern Saratoga County offers exclusive opportunities for our members. Participation in any of these tiered membership investment levels demonstrates the organization’s commitment to the mission of the Chamber of Southern Saratoga County. These benefits are not based on the number of employees rather based on the values the Chamber offers the organization and the community. The Chamber of Southern Saratoga County offers an intermediate partnership level whereby members can take advantage of value-added benefits, chamber discounts and access to programs. Visionary Partners are also recognized as major partners of the Chamber and invited to special VIP events and other programming throughout the year. Leadership Circle is an exclusive membership that provides business leaders with direct and exclusive access to programs and benefits inclusive of sponsorship opportunities. The organization will be given regular access to business, political and community leaders in our region. Supporters of the Leadership Circle make possible the Saratoga County Community Development Program, also supported by the Saratoga County Economic Development Committee of Supervisors which is one of the leading economic engines supporting small business in Saratoga County. Leadership Circle members are also recognized as major partners of the Chamber and invited to special VIP events and other programming throughout the year. President’s Council is our highest level of sponsorship participation and support for the Chamber of Southern Saratoga County. This upgrade is available only to Leadership Circle members of the Chamber who choose to make the additional investment in our Chamber and our community. 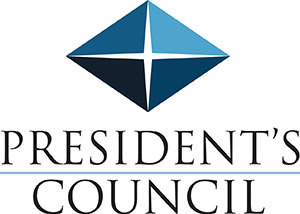 President’s Council members are recognized as sponsors at every event of this chamber and other means throughout the year. Also entitled to numerous customized benefits including complimentary tuition at the Chamber’s program of distinction at Executive Institute, held annually every autumn.